Open box return – product is brand new and unused but packaging may have signs of use. The M-LOK MVG is a light weight, inexpensive vertical foregrip that attaches directly to M-LOK compatible hand guards and forends with no additional Picatinny rails required. Made from the same high quality polymer as other Magpul products, the M-LOK MVG uses the new Magpul TSP texture for positive control in all environments. 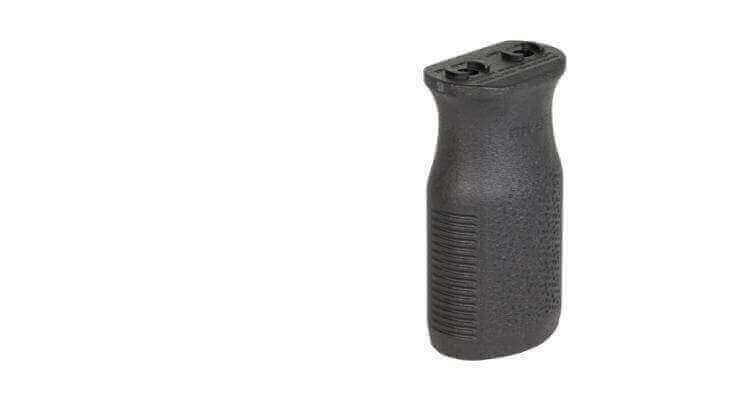 With rounded contours and a shorter length, it has been optimized for use with the “thumb break method” of shooting and can also be used as a traditional vertical foregrip. All hardware necessary for attachment directly to M-LOK Slots on either aluminum or polymer hand guards and forends is included. Made in U.S.A.